Mumbai , India – September 17, 2015 : 21st Century Informatics, a leading healthcare informatics solutions company announced today that its investors have infused a fresh round of funds for strategic expansions in the Europe & African continents. To support execution of this strategy, they have also appointed André Proost as the Chief Executive Officer globally. André brings over 2 decades of experience in the healthcare IT domain and brings in significant best practices and market knowledge with him. Prior to taking on this role, André was the Managing Director of Centric Housing and Healthcare Solutions, based in Gouda,Netherlands. 21st Century Informatics (21CI),enters into an ICT partner agreement with “YAS Healthcare’, through Emitac Healthcare. The contract includes the provision of an end-to-end revenue cycle management & clnical applications as per HAAD standards. The project will be an integrated healthcare ICT solutions comprising RCM, CPOE, clinical EMR, laboratory applications, performance dashboards, RIS, PACS and Microsoft Dynamics GP 2013. Dubai, August 17th, 2013 The Netherlands-headquartered 21st Century Informatics (21CI), a specialist developer of informatics products and solutions for the healthcare industry, has entered into an ICT partner agreement with Dubai's leading business group Majid Al Futtaim Healthcare, through Emitac Healthcare. The objectives agreed between the 21CI, Emitac Healthcare and MAF Healthcare venture are to provide a near-to-paper-less environment and a superior patient experience with highest quality standards. QRG Healthcare, Faridabad, a healthcare division of Havells India invests in 21CI's Apex Enterprise Healthcare Information Systems for future growth. 21st Century Informatics Holdings, Netherlands provider of web- enabled healthcare Information Systems and related informatics applications, today announced that it has won the contract from QRG Healthcare to supply and implement an end-to end Hospital Management System. Dubai, May,2nd 2013 : The Netherlands-headquartered 21stCentury Informatics (21CI), a specialist developer of informatics products and solutions for the healthcare industry, has entered into an ICT partner agreement with Dubai’s leading pathology lab provider, CPS Labs. This agreement was signed on May 2nd 2013 and came into force from this month. The objectives agreed between 21CI and CPS labs are to provide best-in-class informatics solution to this pathology center for improving their operational efficiency in multi-disciplinary pathology processes, services excellence and quality standards. 21CI enteres into an IT partner agreement with India's leading healthcare provider, Dr L H Hiranandani Hospital , Powai and Hiranandani Multispecialty Hospital Thane. Feb 15, 2013 : The Netherlands-headquartered 21st Century Informatics (21CI), a specialist developer of informatics products and solutions for the healthcare industry, has entered into an IT partner agreement with India's leading healthcare provider, Dr L H Hiranandani Hospital , Powai and Hiranandani Multispecialty Hospital Thane (an upcoming 200 bed hospital). The agreement, which was signed on Feb 05, 2013, came into force this month. The objectives agreed between 21CI and Dr L H Hiranandani hospital are to provide best-in-class informatics solution to the healthcare group to improve their operational efficiency in healthcare processes, services excellence and quality care. 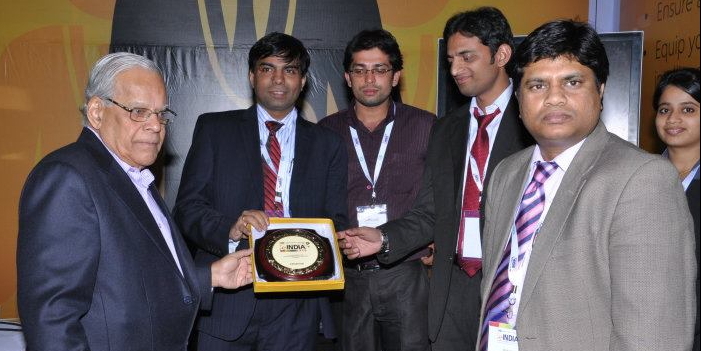 12 Dec 2012: 21st Century Informatics (21CI) wins the LIS contract from Hindustan Lifecare in India. HLL Lifecare Limited (formerly Hindustan Latex Limited) (HLL) is an India government healthcare products manufacturing company based in Thiruvananthapuram, Kerala, India. Technology Trends in EMR Implementation: 21CI Participates in 2nd Annual HMC. 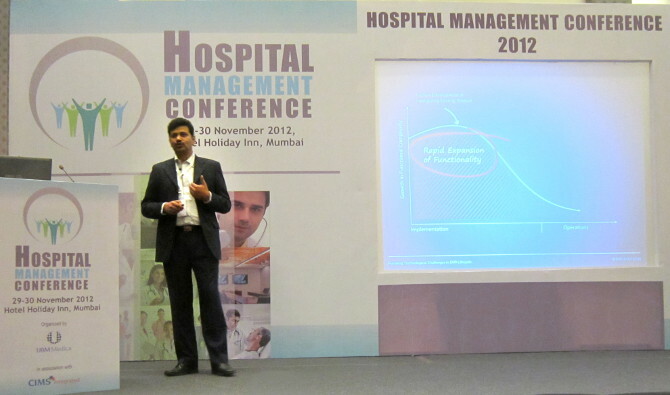 3rd December 2012: The 2nd annual Hospital Management Conference witnessed the participation of 21st Century Informatics ( 21CI) on the technology trends in the EMR Implementation. The 2nd annual two day Hospital Management Conference promoted by UBM Medica was held at Hotel Holiday Inn, Mumbai from Nov 29 and Nov 30. It was content-driven event and it offered hospital managers and decision makers the opportunity to learn specific tools and techniques to do their jobs better, in an environment of quality learning and networking with peers. During the conference, as a key note speaker, Mr Devesh Rajadhyax who heads the R & D efforts at 21st Century Informatics, shared the most important factor in boosting the EMR adoption in hospitals - the way the IT systems handle the EMR software life cycle. 15, October 2012 : 21st Century Informatics along with HIMSS, Asia Pacific Chapter participated in INTEROP 2012 held at the Bombay Exhibition Centre, Mumbai from 10th October 2012 to 12th October 2012. It is the first time that healthcare being a focus at INTEROP. The 5th edition of INTEROP Mumbai 2012 defined and directed the needs of global technology buyers through in-depth educational programs, a solution-rich exhibit floor, and by showcasing live technology demonstrations from leading vendors. The three-day Interop Mumbai 2012 exhibition & conference - Mumbai, concluded with great success active representation from the IT enterprise and channel fraternity (including keynotes, track speakers, moderators, panelists and workshop presenters). Truly, Interop Mumbai is now India's premier enterprise business technology event. The Clinic at Dubai Port World, popularly known as DP World, has gone live with Apex Enterprise Health Information System from 21st Century Informatics (21CI), Nederlands. 02, August 2012: DP World is one of the top-ranked clinics in terms of facilities in Dubai, specifically focussing on niche areas of healthcare services ranging from regular health checkups to occupational health–related diseases and hazards for approximately 20, 000 employees (10,000 employees and their families). The new system implemented by 21CI covers the entire gamut of clinic information system, laboratory information system, electronics medical records and radiology Information system (diagnostics reporting with PACS). The system is also integrated with Oracle ERP application – the back office application at DP World. New Global Innovation Centre a giant step in realizing 21CI's mission to transform healthcare service delivery by innovating next generation solutions that will make healthcare affordable, accessible and accurate. June 01, 2012 - Amsterdam: 21st Century Informatics (21CI), a global informatics company with its focus in Healthcare inaugurated it's Global Innovation Centre in Thane (India). The company plans to accelerate the disruptive power and compelling impact of the Healthcare Frame work solution ApexT Healthcare Information System which is built on 21CI innovative generic platform "COMPONIUM". 21st Century Informatics (21CI) expands its customer base by implementing Apex Enterprise HIS by going Live at Dhakaan Hospital, Rajkot for Hospital Information System. 2nd May 2012: 21st Century Informatics (21CI) expands its customer base by implementing Apex Enterprise HIS by going Live at Dhakaan Hospital, Rajkot for Hospital Information System. The Project kicked off on 12th December, 2011 and was fully live 30th April 2012. Dhakaan Hospital was established in 2003 in Rajkot With a mission "To Provide Quality Health Care Under One Roof Within Reach Of Every Common Man", Dhakaan Hospital is the first multi-speciality Hospital in Saurashtra – Kutch. Diwan Chand Satyapal Agarwal Imaging Research Centre (DCA) experiences successful implementation of an Enterprise-wide Radiology Information System at New Delhi by teaming with 21st Century Informatics . 23rd April 2012: Diwan Chand Satyapal Agarwal Imaging Research Centre (DCA) experiences successful implementation of an Enterprise-wide Radiology Information System at New Delhi by teaming with 21st Century Informatics . The project went live in April 2012. Established in 1924, DCA is having an experience of more than 84 years for patient care. Today DCA can proudly claim that Radiology is their hall mark. Moving ahead with their aim to have a more comprehensive corporate structure, on 1st April 2007 DCA changed its identity from a partnership firm to a private limited company and rechristened it as Diwan Chand Medical Services Private Limited (DCMS). 21st Century Informatics participated in the ICT Zorg Exhibition (ICT Health) held from March 27th to March 29th. April 2, Netherlands: 21st Century Informatics participated in the ICT Zorg Exhibition (ICT Health) held from March 27th to March 29th. This year had a huge footfall for the 3 day event and the exhibition attracted more than 5000 visitors. 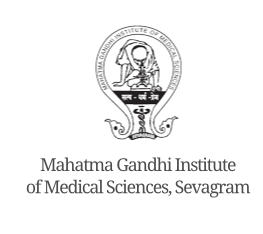 (Radiology Information System and Picture Archival and Communication System )at MGIMS, a reputed Institution founded by Mahatma Gandhi that addressed end-to-end diagnostic workflow rather than addressing only digital images. This has provided the customer to eliminate the films over a period, gradually but in a committed manner to reduce the cost of tests and to have a fully integrated system and no islands of excellence. The work-lists that flow from the existing Hospital Information System to RIS system and right into the imaging machine consoles, ensure that the patient identity is not mistaken and each user deals with patients quickly and effectively. This has resulted in avoiding a lot of daily chaos in terms of managing the crowd at various counters, medical emergencies arising due to delay in the reports and so on. The biggest benefit is for the academics to create digital teaching films effectively. As the network expands into the new building in the hospital that will be Wi-Fi ready infrastructure, MGIMS will extend the benefit of RIS PACS soon to the entire hospital and take a bold step of moving from films - to less films - to Filmless in near future. December 17th : 21st Century Informatics along with Microsoft participated in this year’s eHealth India 2011 on 15th and 16th December. With a mission to qualitatively transform the healthcare delivery system, 21CI and Microsoft professionals jointly presented and introduced the new healthcare technology platform, which is a platform-based product with revenue cycle management, clinical transformation and healthcare quality accreditation-based workflows. The response was incredibly encouraging. The participants at the exhibition & the conference attendees showed interest in knowing more about this new value proposition that can transform the healthcare delivery organization into becoming more patient sensitive and, most important, affordable. December: 16, 2011 : Over the last several weeks, 21CI's team at EHL made solid mapping for all services before going live, improving the LIS system performance, ensuring high availability of the system for the centre and making it live. The team at 21CI is excited about the success and its appreciation from EHL IT team. The site is also a good showcase to demonstrate the LIS's compatibility with EHL's existing Hospital Information System and Electronic Medical Records. 21st Century Informatics B.V and HCL Technologies have signed a business agreement! March 31, 2011 : HCL has now become a practice partner for 21st Century Informatics products and solutions. HCL will be taking up responsibility for business acquisition, implementation, customization and provision of customer support to new customers in the healthcare informatics space. The two organizations have joined forces with the aim of transforming healthcare delivery organizations from a semi-automated to a completely automated ICT-enabled healthcare processes. Together, the two companies will provide advanced solutions to help healthcare delivery organizations to achieve 100% Revenue Cycle Management, Healthcare Quality accreditation-based workflows, Effective Clinical Transformation and Clinical Leadership. The joint development initiative through this partnership agreement is designed to provide an end-to-end value proposition to healthcare organizations. These propositions will also integrate 21CI's healthcare informatics solutions and other enterprise ICT solutions, along with physical infrastructure management such as - IT infrastructure, facilities infrastructure and other ICT systems, applications and integrations. 21st Century Informatics opens Benelux office in Amsterdam. Nov-2010:	21st Century Informatics opens Benelux office in Amsterdam. In her expansionism 21st CI opened her Benelux office in Amsterdam. With this step 21st CI enters in to the European market. ‘The proven, affordable, scalable and highly flexible state of the art solutions will have a true contribution in changing the Healthcare in Europe even more’ says Hindrik Wytes the new Director of 21st CI Benelux. Oct-2010,	Zimbabwe Goes LIVE: We are pleased to announce that the Phase I of the enterprise wide project of providing Healthcare solutions to Premier Services Medical Investment (PSMI), Harare, Zimbabwe has gone LIVE. PSMI is one of the largest healthcare group having more than 100 sites consisting of hospitals, clinical labs, radiology centres, health clinics, rehabilitation clinics, pharmacies, dental clinics, optometry clinics and ambulance services. Sep-2010: Healthcare Wing of Dabur Ties up with 21st Century: 21st CI has bagged a prestigious order for providing state-of-the-art Healthcare Solutions to the nation-wide chain of Diwan Chand Satyapal Aggarwal diagnostic centres, recently acquired by Althea Life Sciences of the DABUR group. Diwan Chand Satyapal Aggarwal is one of the oldest, reputed & largest centers in India. 21CI has been selected by DCA Group as their ICT partner in their growth plans of setting up diagnostic centres, clinics, hospitals and laboratories not only across India but also internationally. May-2010, Ayursundra kicks of implementation of 21st Century Enteprise Apex HMIS at its One-Stop Diagnostics & Wellness Centre at Guwahati and its 4 outreach centres on outskirts of Guwahati.